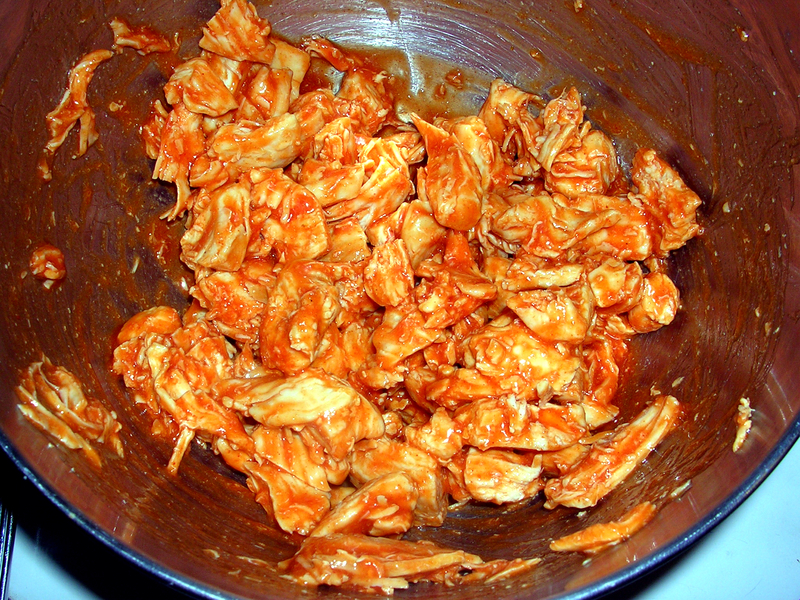 As I have mentioned before, we are a household of buffalo chicken lovers. The spicier and saucier, the better! 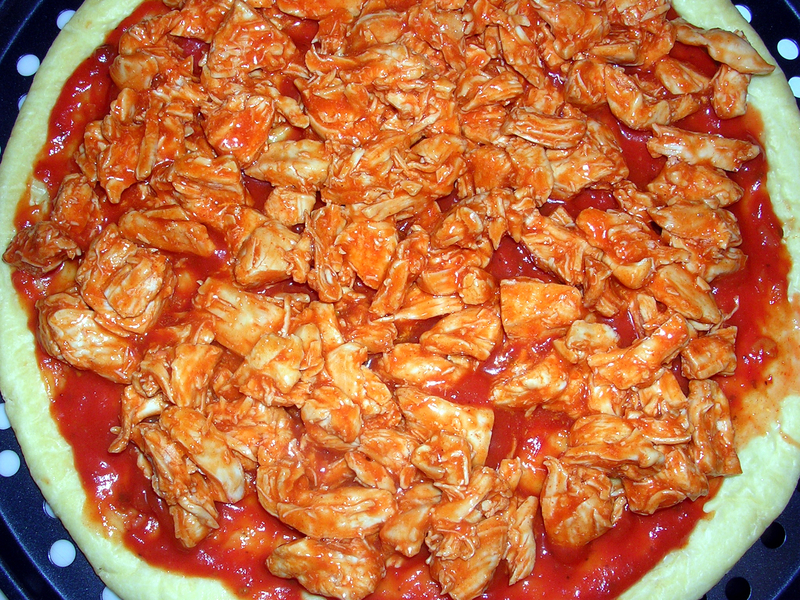 For our family dinner last weekend, I decided to make a delicious Buffalo Chicken Pizza concoction. We mixed all of our favorite buffalo related things (Frank’s, bleu cheese, etc) onto a pre-made gluten-free pizza crust and let me tell you: it was AMAZING. 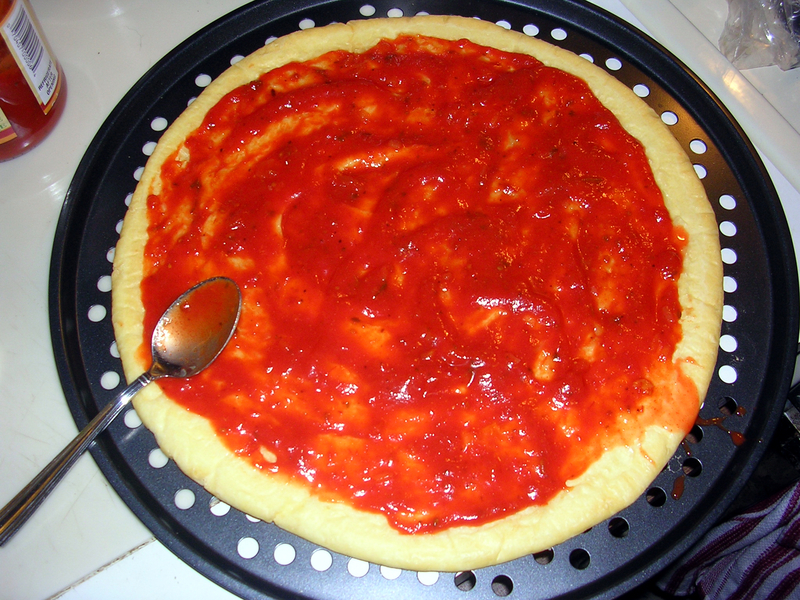 CRUST (We used an Against the Grain, gluten-free crust, but you could easily use this recipe, or make a dough of your own! Perhaps not the healthiest ingredients, but certainly the tastiest! Firstly, I chopped the chicken and pan fried it in a little olive oil until it was cooked all the way through. 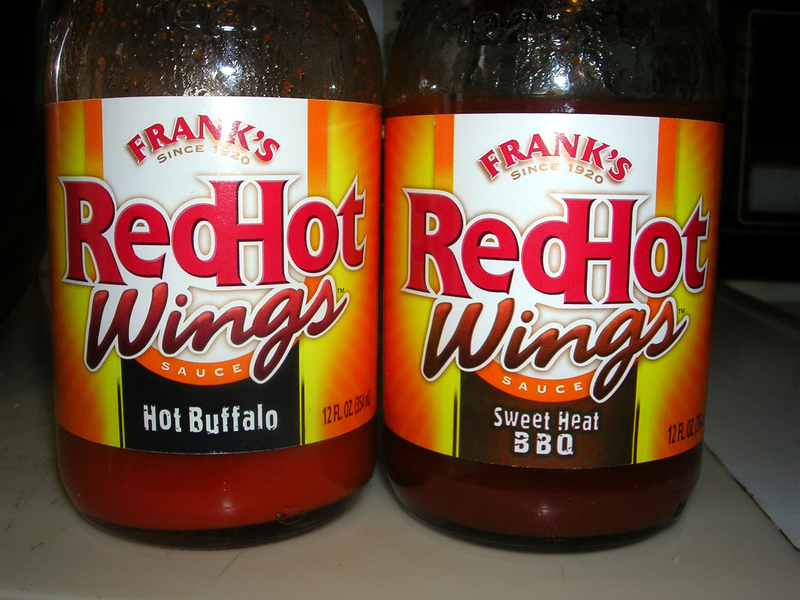 Then, I added Frank’s Hot Buffalo and Sweet Heat in equal proportions until the chicken was thoroughly coated. 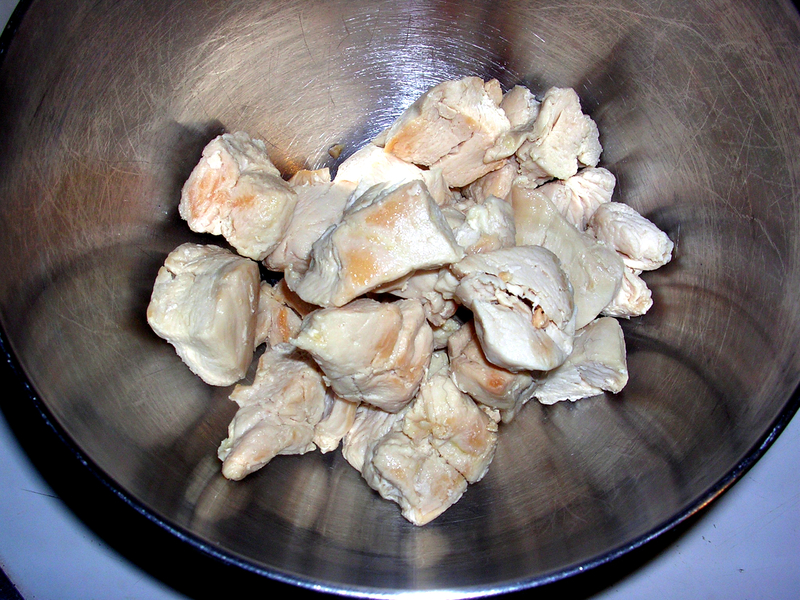 As I coated the chickens, I shredded the chucks a little with a fork to make sure that they were bite-sized. Next came the crust. 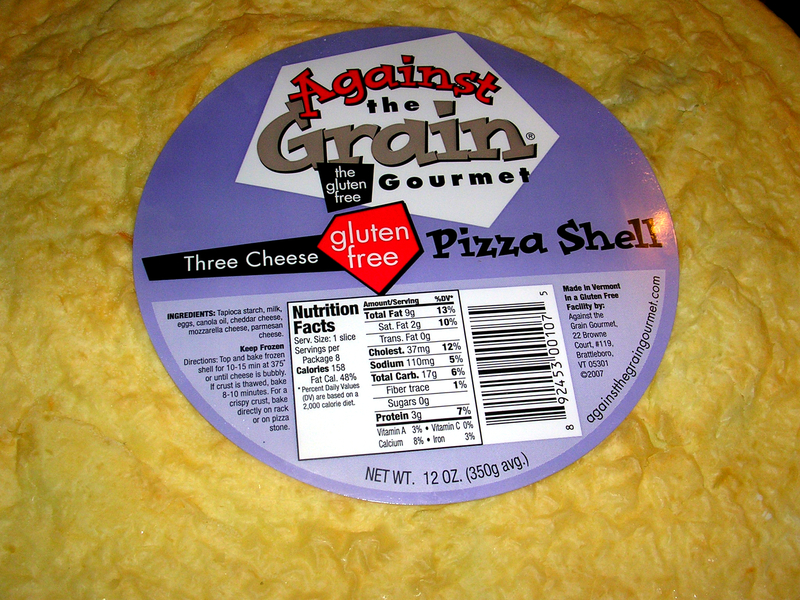 We used this Three Cheese Pizza Shell from Against the Grain. The main ingredient in this gluten-free shell is tapioca, which, according to Wikipedia “is a starch extracted from the root of the plant species Manihot esculenta” which includes the cassava among other plants. 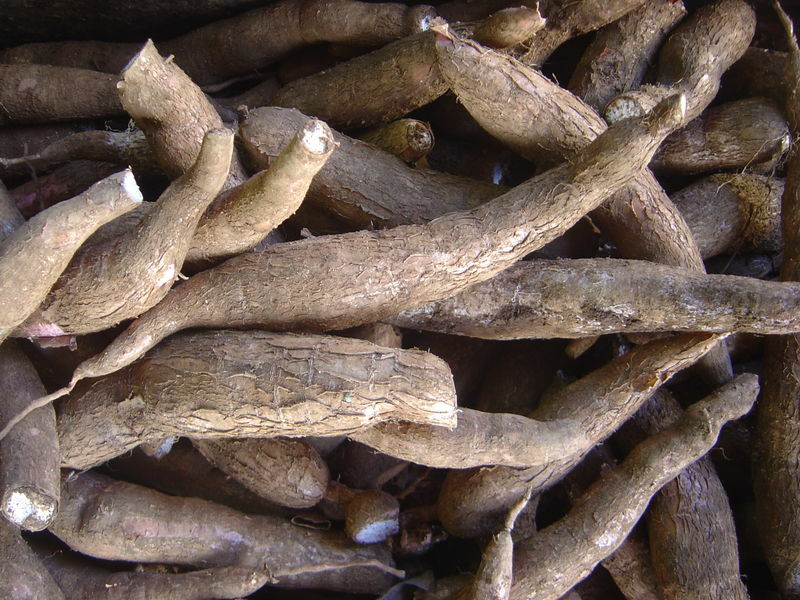 Basically, tapioca flour is a grain-free flour made from the roots of a cassava plant, which kind of look like potatoes covered in hairy bark. 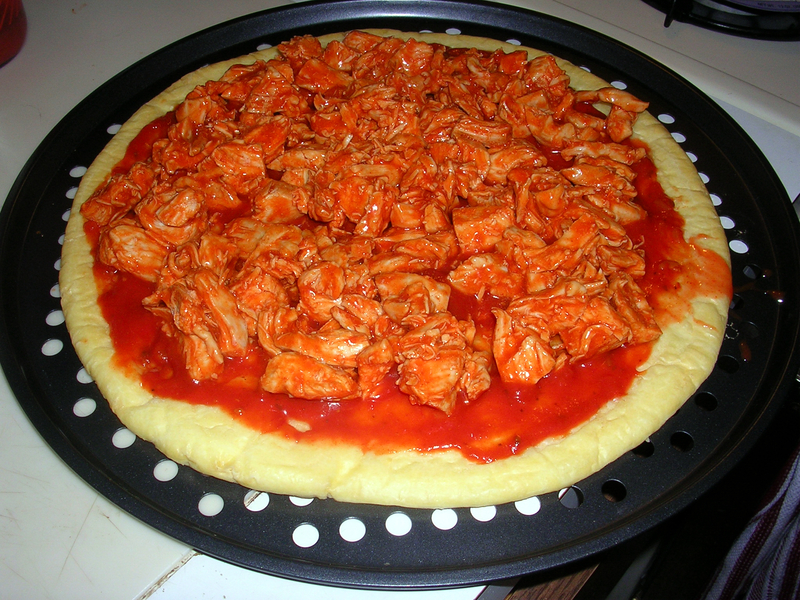 Anyhoo, I covered the shell with pizza sauce and mixed in a little Frank’s Original Red Hot. and topped with a little bit of blue cheese dressing. 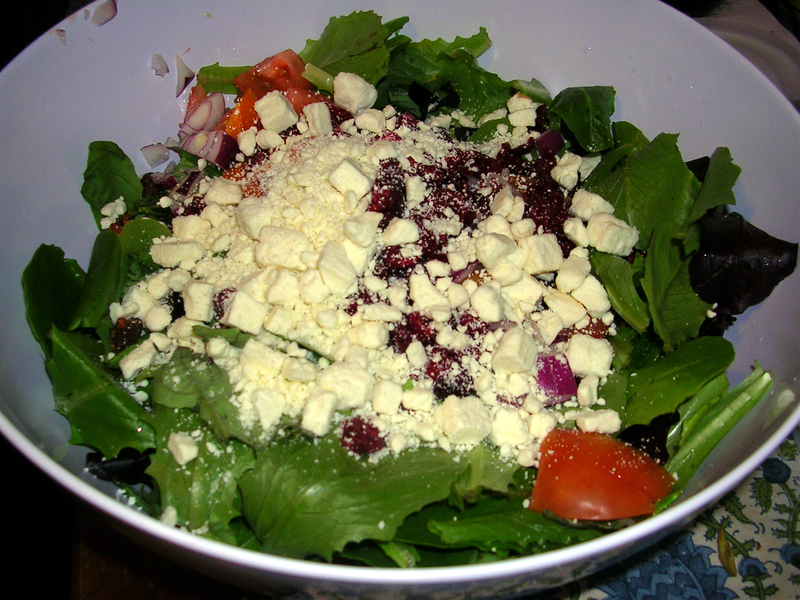 I would have used actual blue cheese at this point, but we were out…and the dressing was handy. 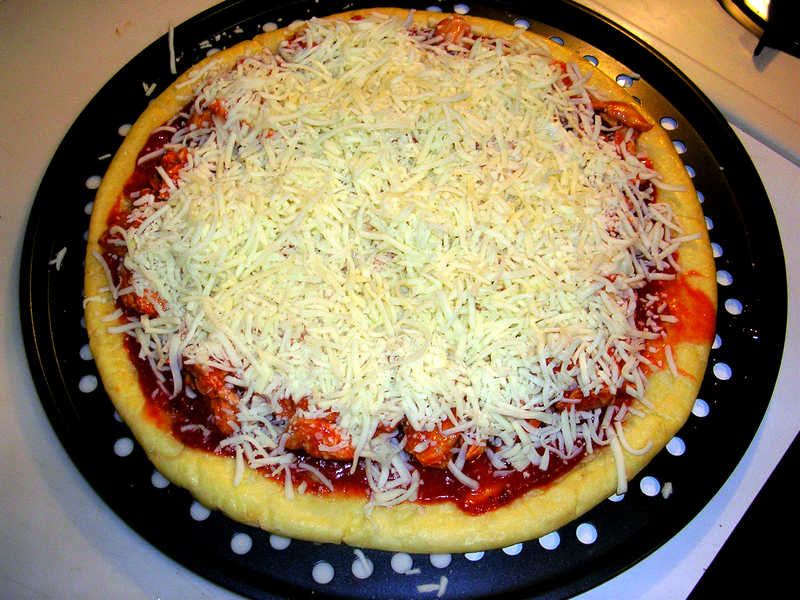 I was careful not to add too much, because I didn’t want my pizza to get soggy! 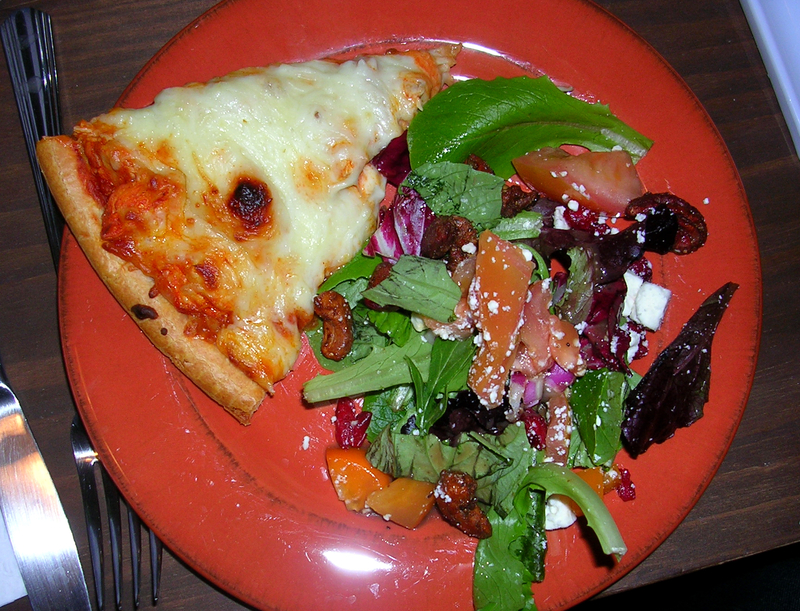 I (heavily) sprinkled the pizza with shredded cheese and popped it into the oven at 400 F.
While the pizza was baking, my sister (Lil’Nic) whipped up one of her signature salads. 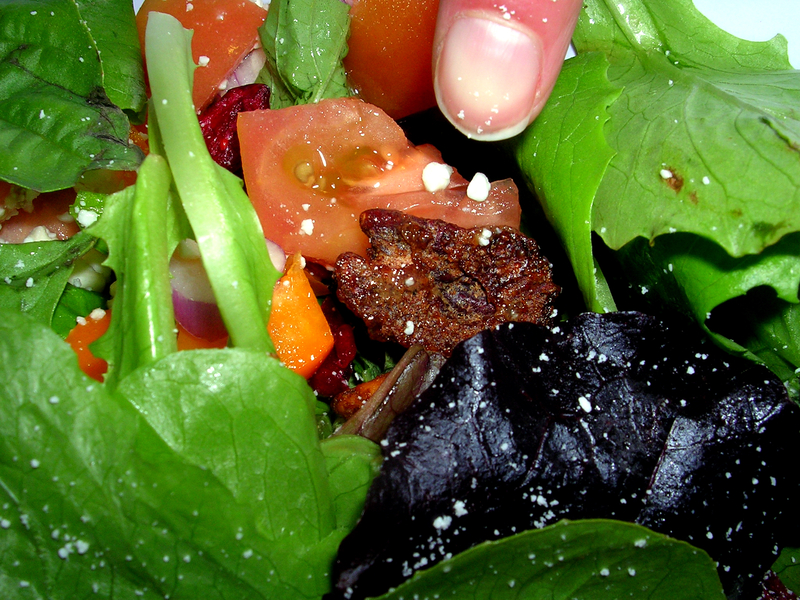 Spring mix, basil, tomato, orange pepper, candied nuts (my mother’s…not mine), red onion, feta cheese, dried cranberries…and probably other things that I’ve forgotten. 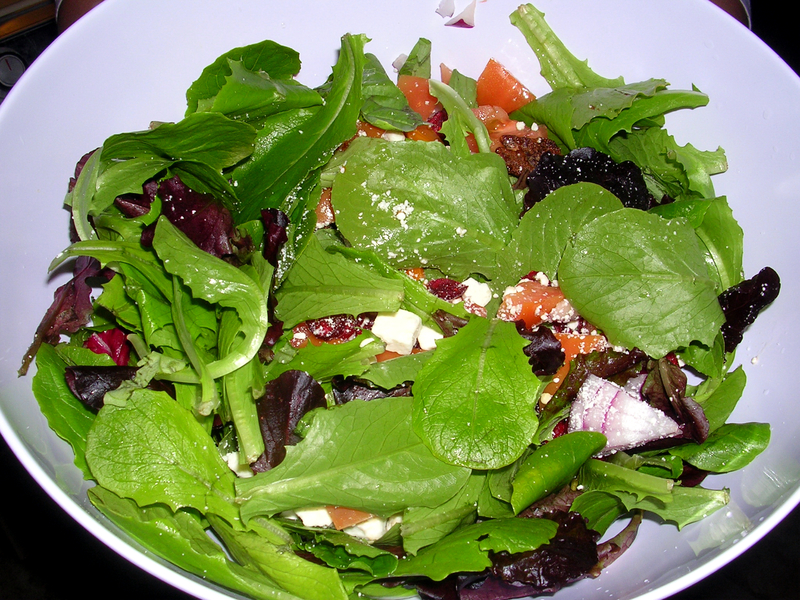 Lil’Nic is definitely one of the best salad makers I know. 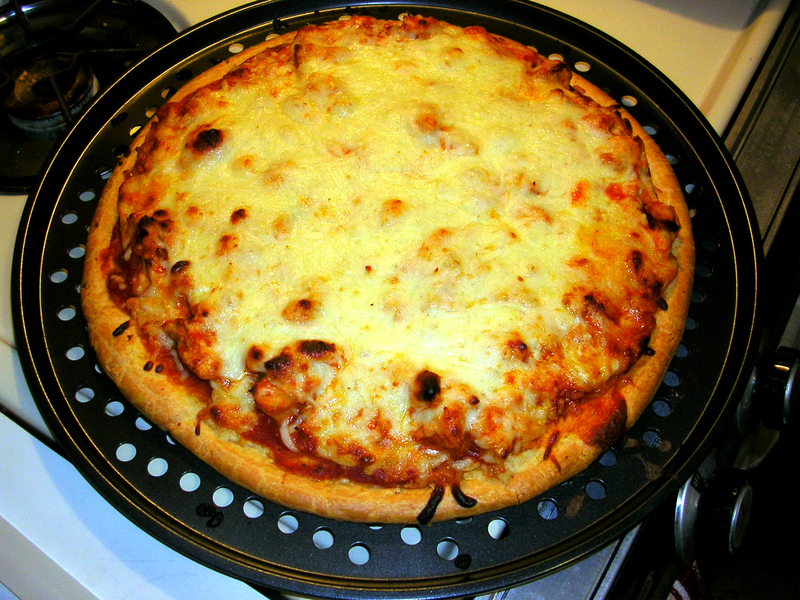 After about 15 minutes, the cheese was melted and thus the pizza was done! 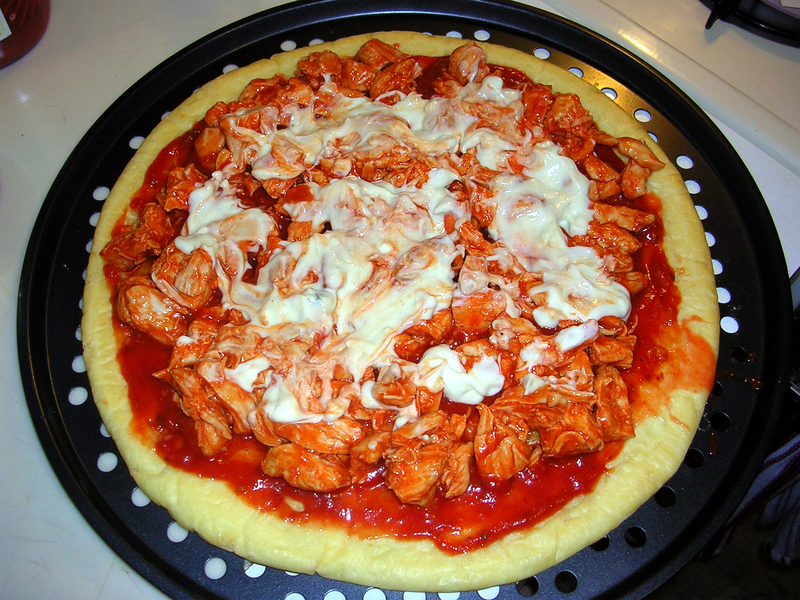 Although this pizza is not the healthiest thing I’ve ever made, I wouldn’t change a thing! 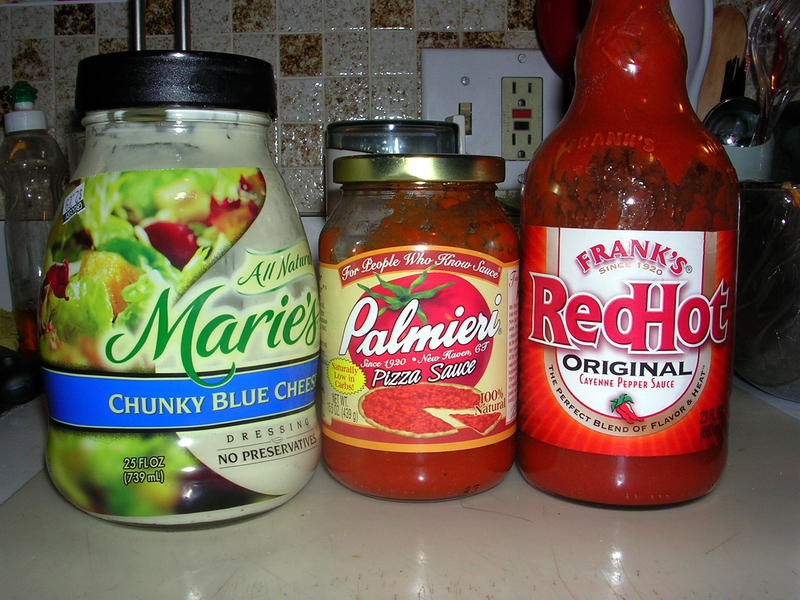 There are some flavors that go so well together that you just can’t substitute– buffalo chicken and cheese being one of those combinations. I usually try to avoid dairy, but I’ve found that the occasional cheese indulgence does not effect my system. The most important thing for me right now is being gluten-free– a little bit (or a lot…)of cheese now and then won’t hurt me!